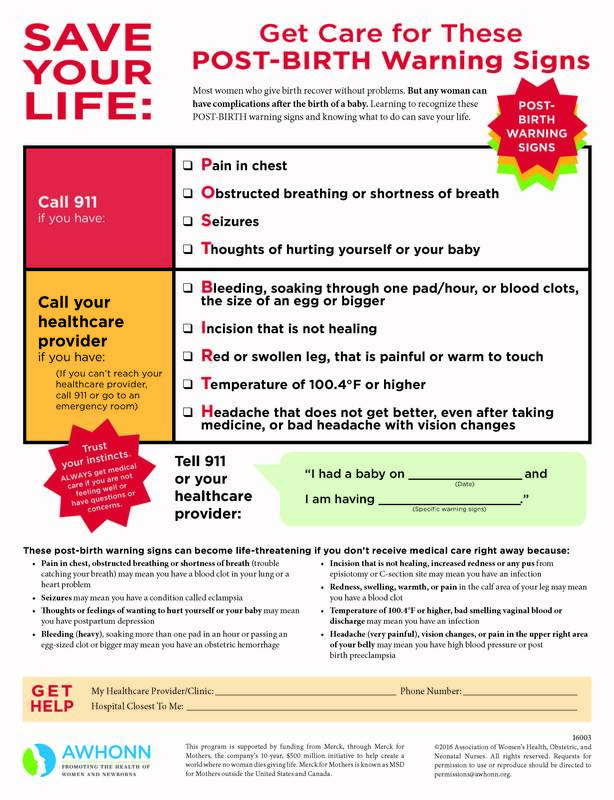 Postpartum Complications | PELV-ICE LLC. Like any major health event, there can be risks and complications that threaten your life. If you or a loved one experience any of these symptoms after delivery of a baby, vaginal or c-section, call 911 or your healthcare provider immediately. Sudden and heavy blood loss, or increasing blood loss, including clots and dizziness. Click to download a printable form.